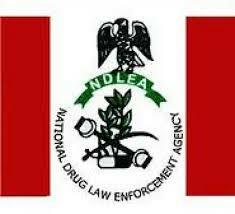 The National Drug Law and Enforcement Agency (NDLEA) on Monday said persons with drug problem could be rehabilitated to become valuable members of the society. Salele Abdulazeez, its Principal Staff Officer (Drug Demand Reduction) in Yobe, said this during an interview with the News Agency of Nigeria (NAN) in Damaturu. “One can help drug abuse victim by encouraging the victim to speak freely and by carefully listening to the reasons why he or she abuses drugs. “The victim’s problem should not be disclosed to persons other than a health worker who will help the victim. “Be firm to explain to the victim why such act is harmful and why he or she needs counseling and treatment,’ he said. Abdulazeez said that one needed to be supportive to help drug abuse victim. “We have to assist and persuade the victim to seek help and provide moral support through the difficult treatment and rehabilitation. “Similarly, in order to successfully help such victims, one must be a good role model by living a drug-free life style,’’ said. Abdulazeez listed the causes of drug abuse to include personality factor. “Individuals with personality problems arising from social condition such as lack of adequate parental care and broken home are likely victims. “Or rural – urban migration, peer group pressure, occupational disposition, influence of advertisements, the urge to achieve success among students, sportsmen and women. “Other factors are emotional and psycho-social stresses such as frustration, anxiety and economic depression, among others,’ he said. Abdulazeez urged the general public to join hands in the fight against drug abuse to safeguard the future of the country’s teeming youths.